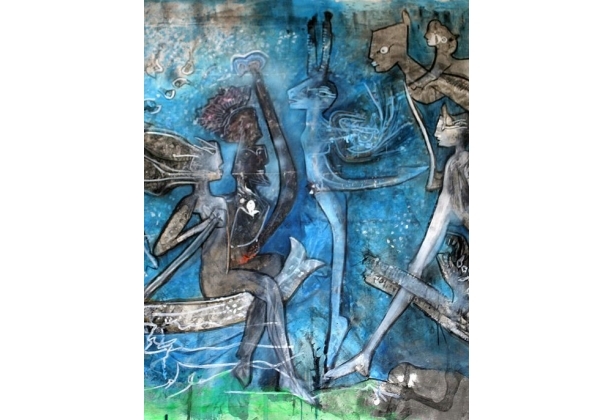 oil on linen, 6' 10" x 8' 10"
The painting, Origin' Elle, had suffered from deferred maintenance and inappropriate storage. 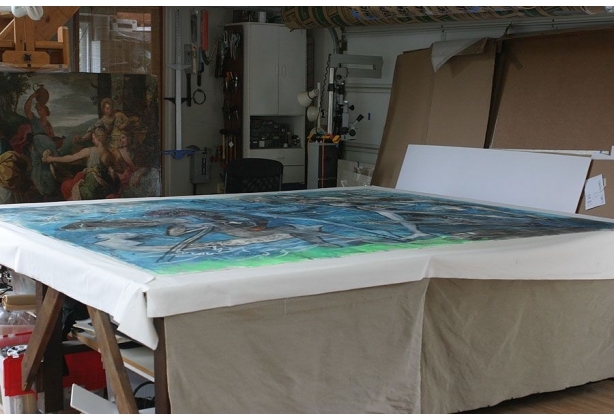 The painting arrived in the studio folded and creased at multiple and regular 10' intervals. The weight of the unsupported and painted canvas caused deep creases in the canvas. This in turn caused the rigid paint and priming layers to crack and flake off the surface over time. 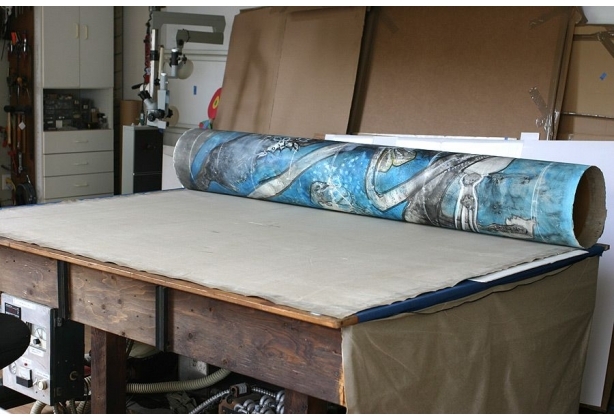 The painting was first carefully unrolled, and allowed to flatten naturally and then rolled onto a 12' diameter tube to await further flattening and repair. 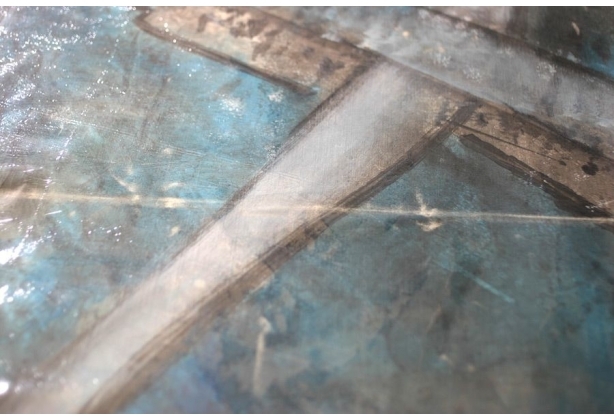 The damaged paint layer along each crease was consolidated with a conservation grade adhesive. 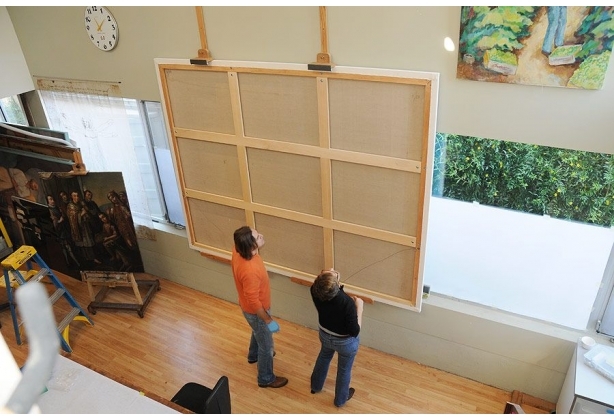 The overall canvas was humidified and flattened on a suction table in four separate sessions. 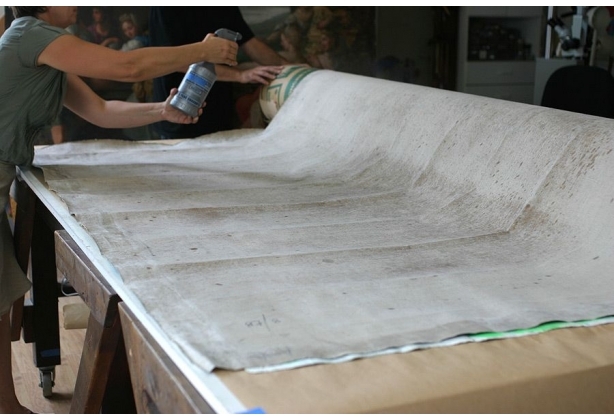 The canvas was then strip-lined onto a larger working stretcher and flattened again until desired effects were achieved. 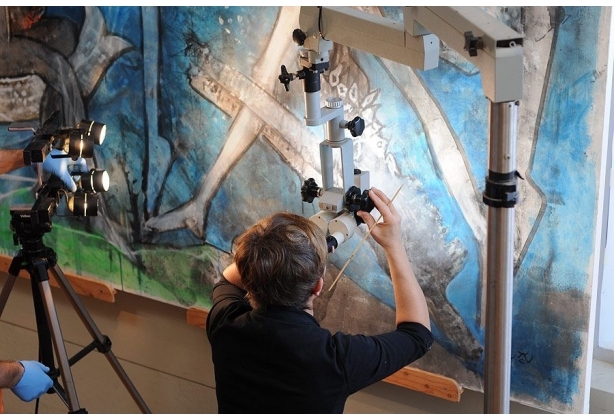 A mechanical turnbuckle stretcher was ordered from Simon Liu, Inc. After the painting was stretched onto its new stretcher and proper tension adjusted, all the losses and abrasions were carefully inpainted using Gamblin Conservation Colorsâ to restore the visual integrity of the whole composition.